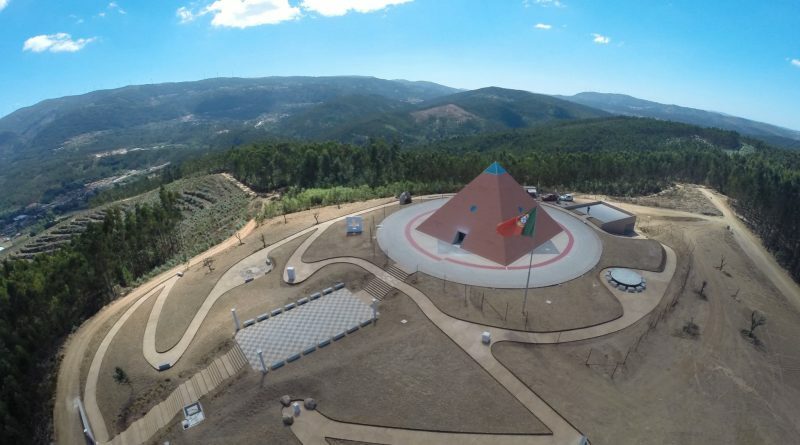 According to local news, this will be a place to celebrate all religions but this portuguese pyramid is already causing some controversy. Located in the mountain of Lousã, this privately-financed building will open its doors to the public on September 11. This odd date has been justified only with “a tribute to those who perish on 9/11”. The site has also some strange references that few seem to understand. The pyramid height is 13,4 meters (43,96), the exact height of the first Solomon’s Temple. Also a spiral with 7 circles that to the Christians are meant to represent the seven deadly sins and to the Muslims the “tawaf” (the ritual in Mecca when the believers circle the Kaaba 7 times). This brand new Ecumenical temple has also an entrance with the all seeing eye… once inside you will find a rock with the following measurements: 1,11m x 0,666m, the exact size of the Arc of the Covenant). And the mystical / esoteric references are many more and implemented in all the construction. It’s purpose? Make the visitor find “his own spirituality”… a very strange excuse for such a large and peculiar building, don’t you think?